The Internet offers up a whole host of opportunities for anybody to make a bit of extra money, or even a living. There are a plethora of platforms and services out there that allow for anybody to make some cash without even having to leave the comfort of their home, or even their bed. If this is something that interests you, then make sure to continue reading and see some of the ways in which you can do it yourself. The first option is to make use of the huge and various marketplaces that the Internet has set up in recent years. There are services, such as Arcadier, that allow you to create your very own e-commerce marketplace in order to sell all the things you know longer need in life online, instantly eradicating the need to get up early on a Saturday and go and do a car-boot or garage sale. This kind of venture also cuts out the possibility of allowing for products to be sold at a cheaper price to the power of haggling; when somebody is trying to convince you in person to lower your prices, it can be easy to do so, whereas online that human connectivity is diminished and ultimately the prices you set are retained. A type of online marketplace that is coming into real fruition is the independent distributor scene, specifically those that distribute electronic components. The products distributed on DigSemi.com, for instance, are those that are generally hard-to-find and difficult to source, which is why the company and scene in general is, in this day and age, so vibrant. Becoming an independent distributer is a great way to make money, but you must be aware that you need to be able to provide a vast amount of products and supply must meet demand. However, if seeking all of your world belongings isn’t of any interest to you, then why not take to other online methods of filling your wallet with wonga? You could, for instance, take to a freelance job where all the work is done and submitted via the Internet. Freelancing is a flexible job that can even be turned into a successful career — all you need is a strong Internet connection and the ability to remain self-motivated throughout the day, even without authority figures looming over you. Similarly, you could start you own form and brand of online entertainment. Blogs have turned into a business as the ways in which connections are made over the Internet has grown, which is why blogs now are viable ways of making money. Consumers are accessing blogs in order to connect with other likeminded people, and the bloggers themselves, which then means that said blogger is making an income. As well as this, entering the video sharing site Youtube as an uploader, and not just a consumer, of videos is now a way in which those that do it are making SERIOUS amounts of money. For instance, KSI, a Youtube personality, has managed to earn himself a net worth of £11 million through his comedic videos and even spawned himself a career in other ventures such as TV presenting, acting and even rapping. 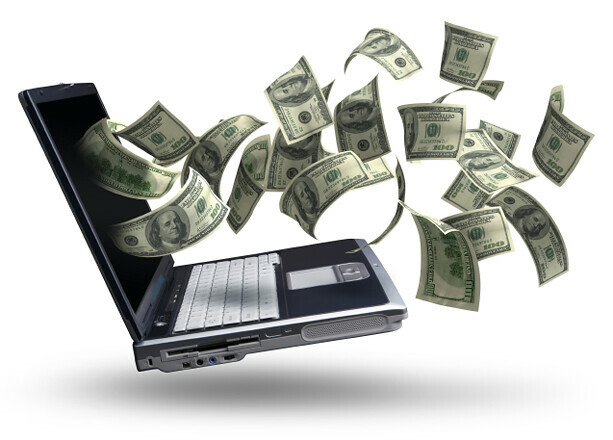 So, if you want to make some more money, or even ditch the traditional nine to five, then you should boot up your laptop, jump online, and start making money on the Internet today!